Since 1993, R&G Hauling has been the preferred source for hauling, junk removal, bulk item (furniture, appliances, etc.) 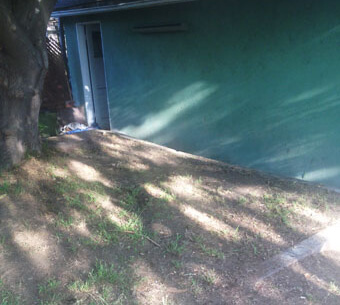 removal, yard waste disposal, soft demolition, and one-time cleanups in Arcadia, Glendora, Altadena, Alhambra, Rosemead, Burbank, Azusa, Pasadena, and surrounding areas. Our attention to detail, friendly and professional service, and competitive prices have earned us a reputation as the best value for hauling and junk removal services in the San Gabriel Valley. We are a local, family-owned and -operated business that holds customer satisfaction as our top priority. We are available seven days a week from 7:00am to 7:00pm and arrive on time for scheduled appointments. Call today for a free quote on any hauling job in Glendora, Arcadia, Altadena, El Monte, Azusa, Burbank, Glendale, or nearby city. Quotes can be provided over the phone or on site. For over 20 years, R&G Hauling has provided professional hauling services in Altadena, Arcadia, Glendora, Pasadena, Monrovia, Azusa, El Monte, and other cities throughout the San Gabriel Valley. We have served thousands of satisfied residential and commercial clients, and earned a reputation for friendly service and exceptional results. Every customer works directly with the business owner, Rob Brion, who has extensive industry knowledge. He and his trusted team will quickly and affordably remove and haul away unwanted items from anywhere on your property including upstairs, in the attic, in the basement, in the back of your garage, or in your backyard. When moving items inside your home or business, we take great care to protect your property and not damage any walls or flooring. Additionally, once we are done, we take care to remove any trash and sweep up dirt and debris. Our goal is to make the hauling process as convenient and effortless as possible for our customers. Call today for an accurate, up front estimate. When you hire R&G Hauling, you can trust that the job will be completed in an efficient manner and that our team will be respectful of your property. Our junk removal and hauling services are available in Glendora, Altadena, Arcadia, Alhambra, Duarte, San Dimas, and surrounding cities, and are always competitively priced. As part of this service, we can remove clothes, mattresses, couches, old appliances, yard waste, sheds, broken fencing, carpets, leftover construction materials, and other unwanted items from anywhere on your property. We'll move carefully and take the necessary precautions to avoid scratching walls, floors, or decor when working inside a home or business, and make sure each item is recycled or disposed of properly. 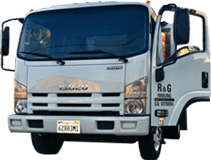 R&G Hauling is your trusted source for one-time cleanups and hauling services in Arcadia, Altadena, Glendora, Alhambra, El Monte, Rosemead, Sierra Madre, Azusa, and surrounding cities. 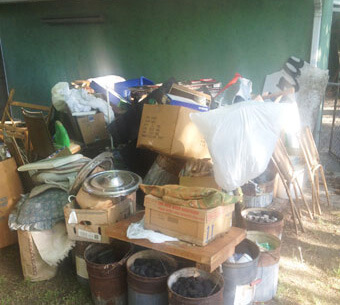 We'll help you quickly and affordably clean out your garage, basement, attic, storage unit, yard, shed, and more. After loading the unwanted stuff onto our truck, we'll thoroughly sweep up any leftover trash and dirt. Upon request, we can even hose down the area. Because we know that decluttering your home can be emotional and/or stressful, you can rest assured that we'll do everything we can to make the clean-out process as easy as possible and allow you to feel completely at ease with our staff. In addition to junk removal and hauling services, we also offer assistance with non-structural or "soft" demolition for those looking for help with a small renovation project. We'll help you rip up carpets, remove countertops, tear down cabinets, knock down drywall, break down fences, remove fixtures, and more. Our team of professional haulers will work carefully not to damage walls, floors, or furniture during the demolition and take care of the removal of building materials and debris. Call us today at (626) 497-8271 for light demolition services in Glendora, Arcadia, Altadena, Pasadena, Monrovia, and surrounding cities. We hauled away this unwanted furniture from a home in Monrovia, CA. Our furniture removal services are affordable and reliable. We can haul away beds, mattresses, couches, refrigerators, exercise equipment, and more. Call us today for a free consultation for furniture & appliance removal throughout the Pasadena and Monrovia area . . .